The controversial law was fiercely defended by the Centre's top law officer Mukul Rohatgi, arguing that the argument on "so-called privacy and bodily intrusion" made by the petitioners was bogus and "one cannot have an absolute right over his or body". Supreme Court will decide on petition challenging law making Aadhaar mandatory for income tax returns. NEW DELHI: Can the income tax department cancel PAN cards and prevent people from filing their income-tax returns from 1 July if they do not produce an Aadhaar number? Today, a two-judge bench of the Supreme Court will rule on a bunch of petitions challenging the constitutional validity of the controversial amendment to the income tax law that forces people to submit the 12-digit unique identification number to the IT department. The change was made through an amendment to the tax proposals in the Finance Bill which meant the Rajya Sabha, where the government is in a minority, could not reject the change. The judgment is crucial, not just because it would decide the fate of this one change but the verdict could signal the court's approach in other cases against the government making the unique number mandatory for other benefits and services as well. The petitions had called the income tax provision a compromise on civil liberties that has never been tried in any democratic country in the world and also pointed to the government's poor track record in keeping private information about citizens safe, citing a recent instance of leak of 13 crore Aadhaar numbers. The law was fiercely defended by the Centre's top law officer Mukul Rohatgi, arguing that the argument on "so-called privacy and bodily intrusion" made by the petitioners was bogus and "one cannot have an absolute right over his or body". 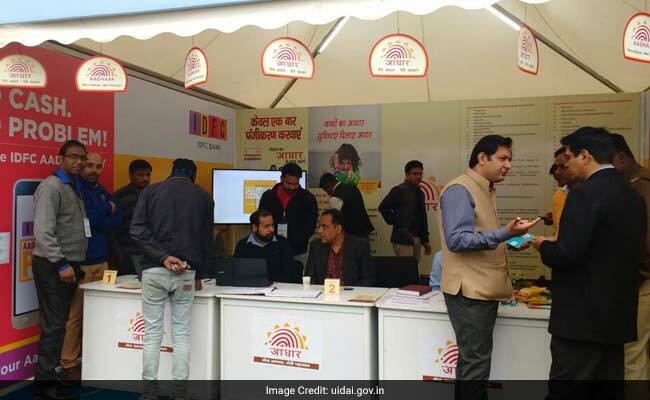 A key point of the Centre's defence was that it needed to link Aadhaar to its database of Permanent Account Number cards if it had to weed out duplicate PAN cards. The government said more than 1 crore income tax payers had given their Aadhaar numbers but there were over 29 crore PAN cards. The need to uniquely identify outweigh interests such as the citizen's right to be let alone. "We are not a society of angels. We have a real problem, people don't pay taxes, make fake PAN cards," the government said, calling use of Aadhaar numbers crucial to efforts to curb rampant tax evasion, money laundering and expand the tax base. The government's arguments, however, did not go unchallenged. Citing official records, the petitioners questioned the claim that there were no duplicate Aadhaar numbers. They also dismissed the contention that the Aadhaar was crucial to remove fakes, pointing that more than 99 per cent Aadhaar numbers were issued only after residents produced an existing identity document. They also pointed how the government disregarded clear directives from the top court not to make Aadhaar mandatory for any service except a short list approved by the court. Aadhaar was launched by the previous UPA in 2009-10 to reduce the government's subsidy bill and remove duplicates from the aborted plan to create a national population register that was inspired by BJP patriarch LK Advani's identity card project. After Prime Minister Narendra Modi came to power in 2014, he put his weight behind Aadhaar that he had criticised in the run-up to the 2014 Lok Sabha elections.